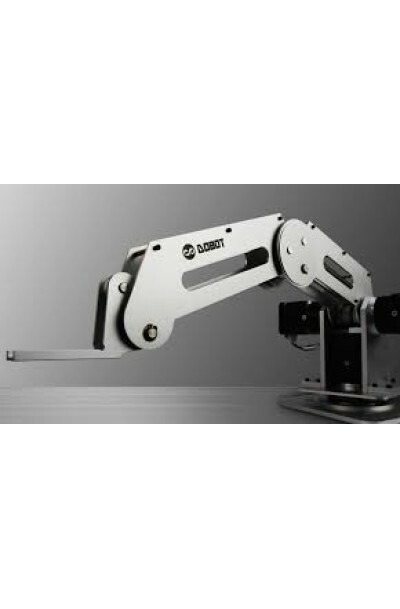 The Dobot Robotic Arm - Standard Version manages to maintain the industrial precision level. When performing repetitive actions, the error in precision is as small as 0.2mm, empowering you to do delicate work without losing the precision. Dobot Arm can draw, write, text, move, grab things following your orders, and even laser cutting, work with 3D printing pen. This arm features high strength weldable aluminum alloy, high accuracy CNC milling and processing, all key rotating parts deployed the pairing of bearing and chrome steel shaft, minimized noise level by using stepper motor with speed reducer gearbox. Many options are also available. You can choose from air pump suckers, electronic drills, laser generators, 3D printing squeezers and more. Schematics and diagrams are open sourced; you can use them to develop more designs of the effector. Mobile devices, mouse, EEG, voice, and images are supported Windows, Mac and Linux are supported, as well as Android and iOS. Writing: Dobot robotic arm can help you write some sweet words for your lovers, no matter what language. Camera Motion Platform: With a customized holder for mobile phone, Dobot robot arm also can take a time-lapse sequence and live action video. PCB Soldering: PCB Soldering with Dobot robotic arm, a good assistant in your life! Grabbing Things: Dobot arm can help you to grab your mobile or Coca Cola, even some little nails! 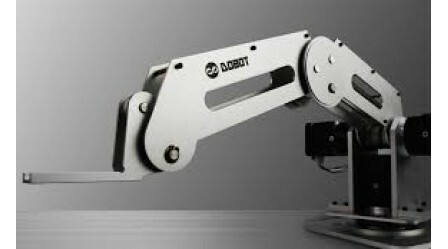 3D Printing: With the high repeatability of Dobot, you can mount a 3D printer head on your robotic arm and turn it into a 3D printer! Laser Cutting: Grave a film figure with the help of Dobot arm, DIY the Kung Fu Panda, Baymax, Mario, etc.